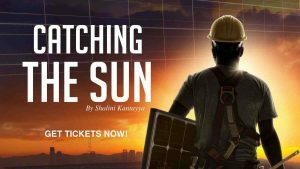 Catching the Sun offers a glimpse into the future of energy– and suggests how people can take power generation into their own hands. The overarching goal of the SUNCATCHER campaign is to use a compelling film to raise public understanding of the complex issues surrounding the U.S.’s transition to clean energy. The campaign will tackle the startling gap in awareness about the affordability of solar power, and how to access it. The SUNCATCHER campaign aims to advance the national dialogue, and engage communities across the country to advocate for a clean energy future, accessible to all.